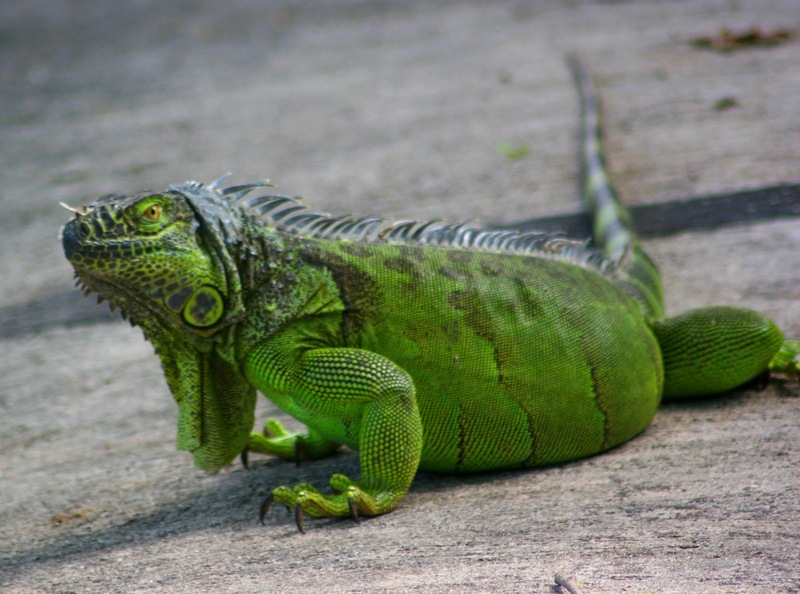 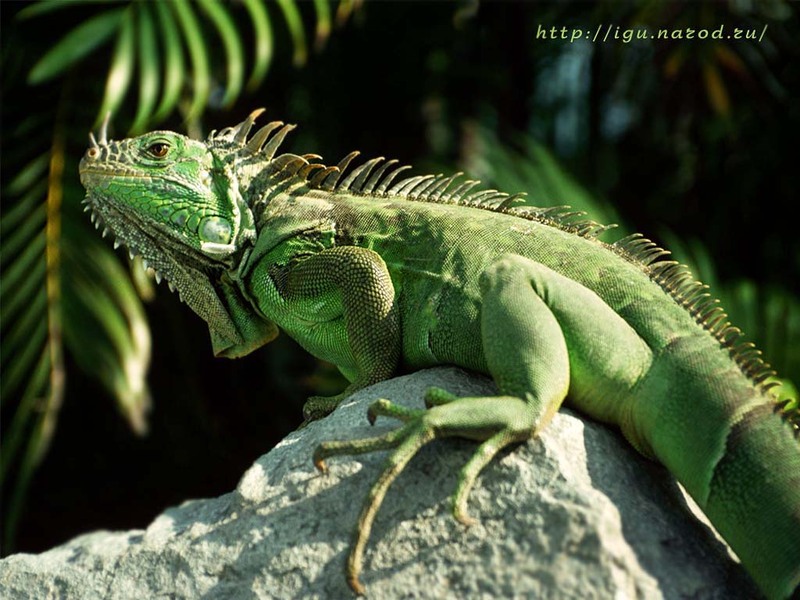 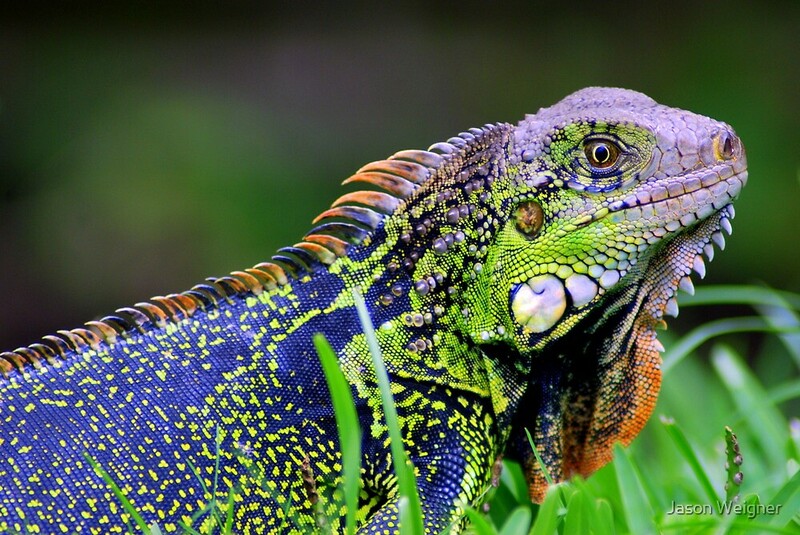 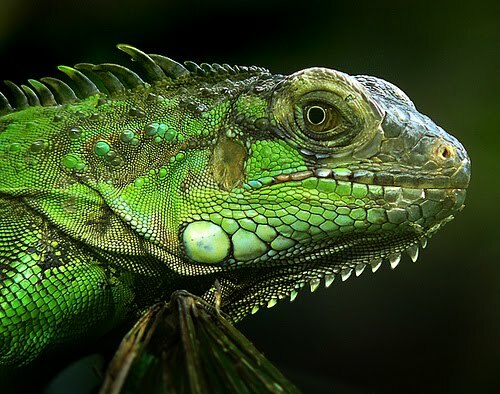 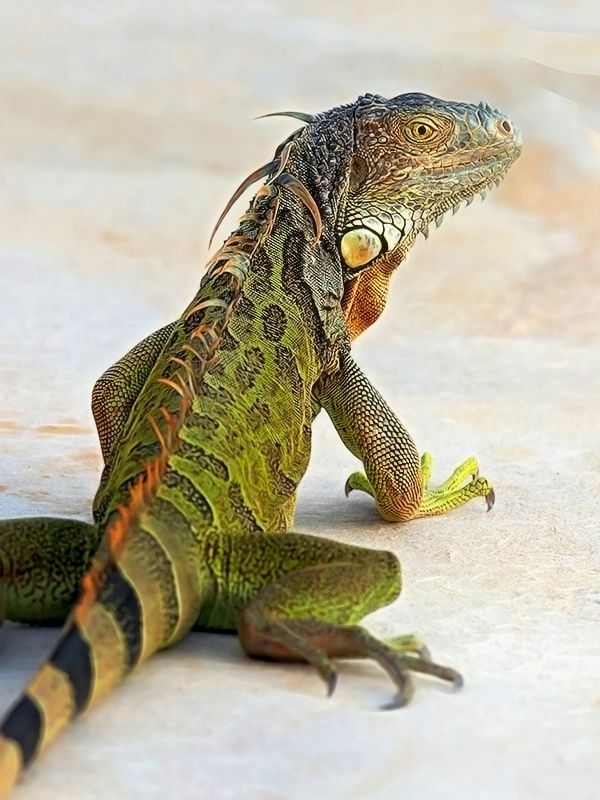 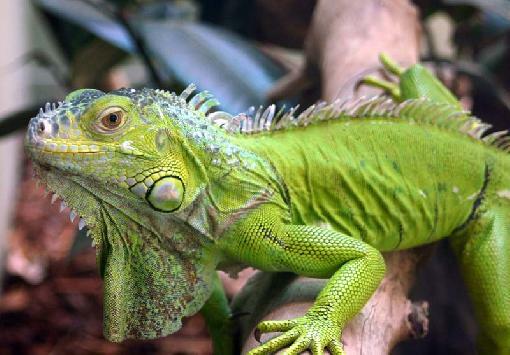 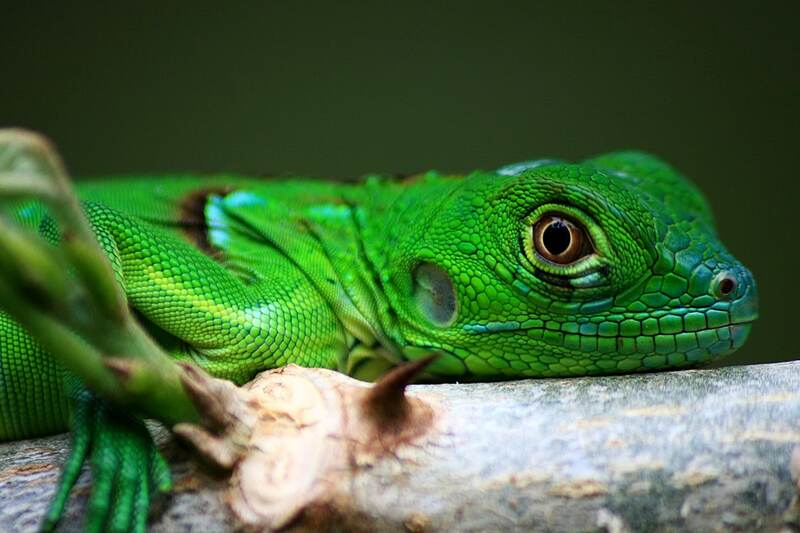 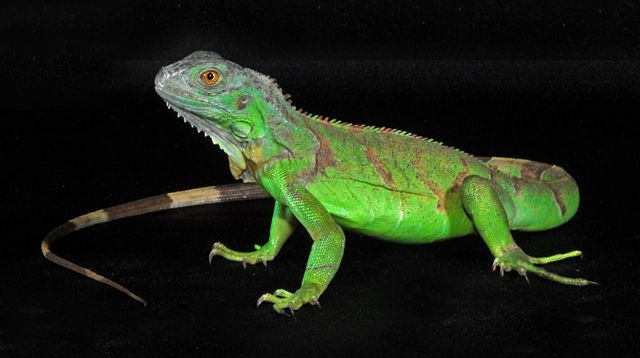 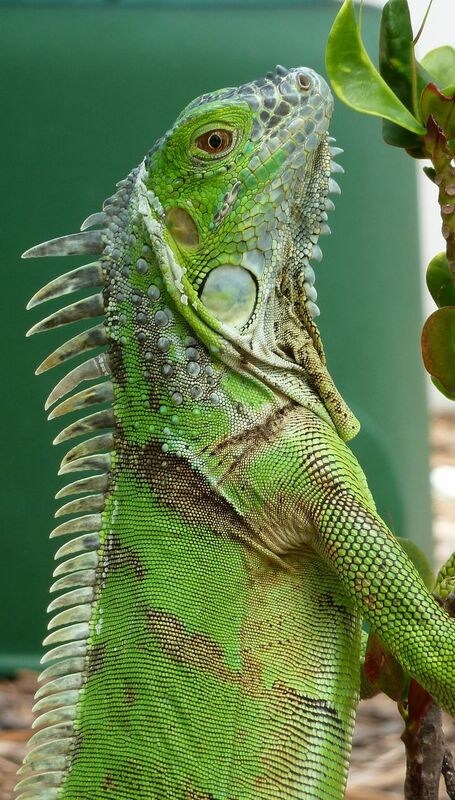 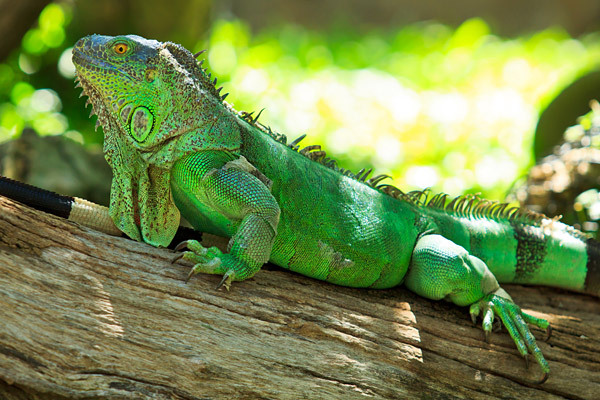 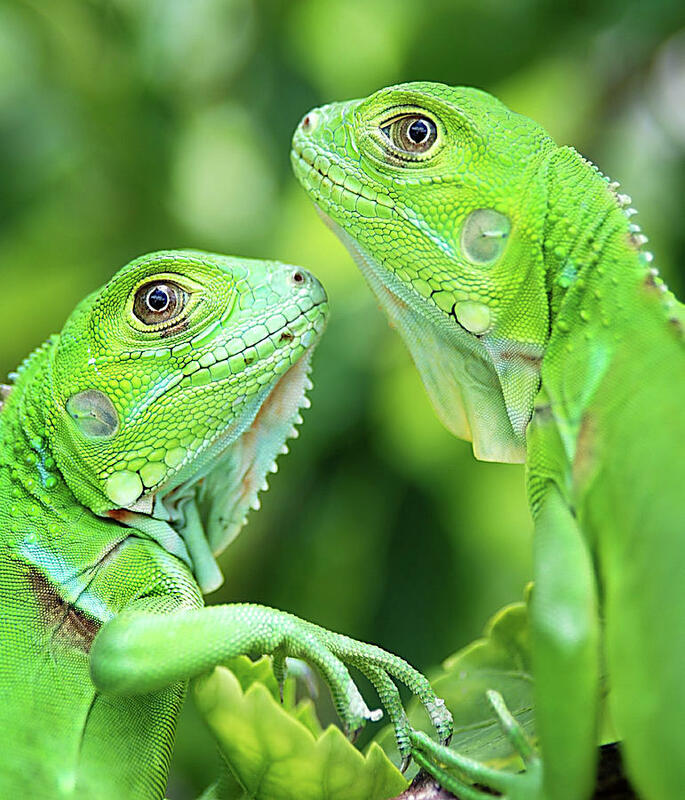 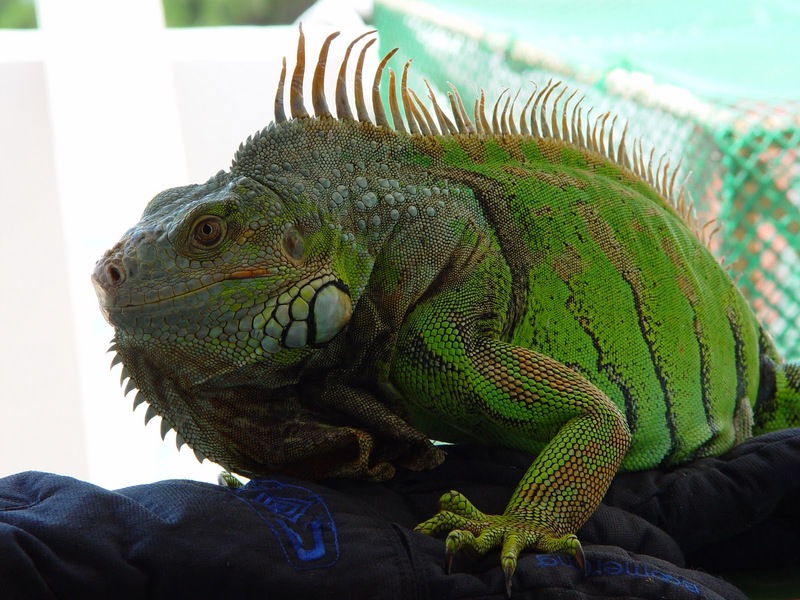 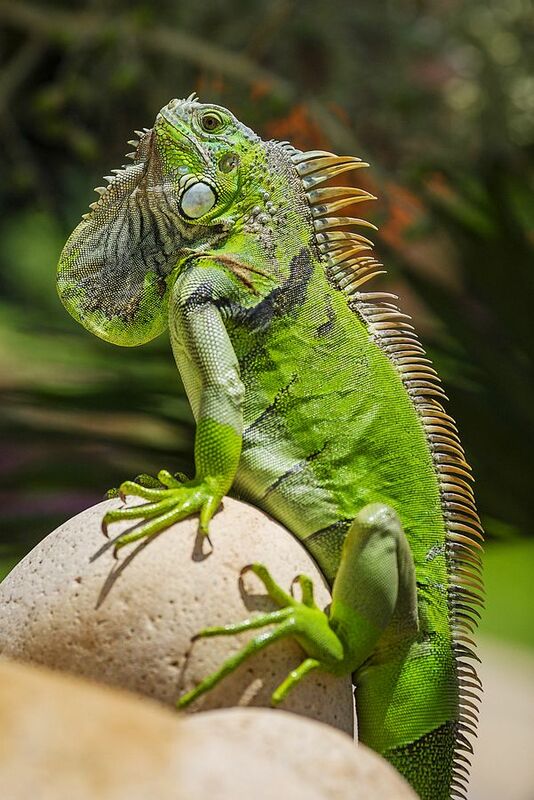 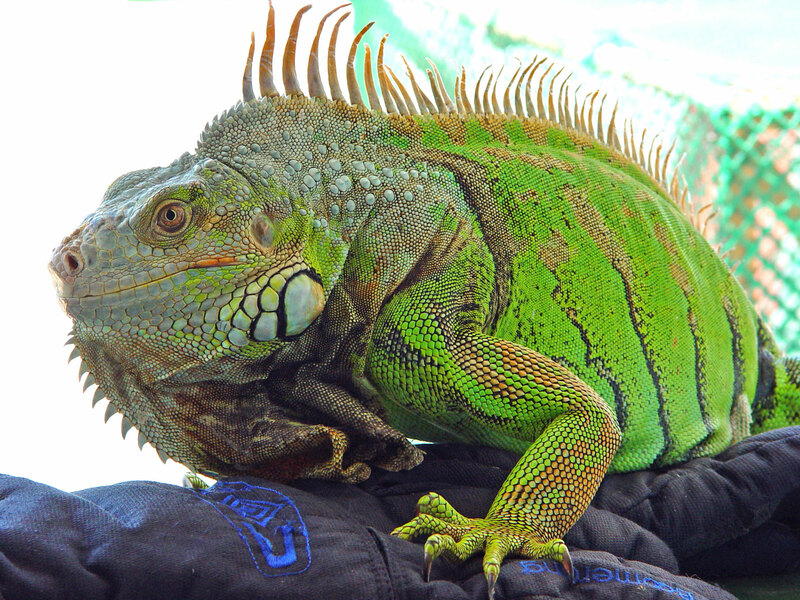 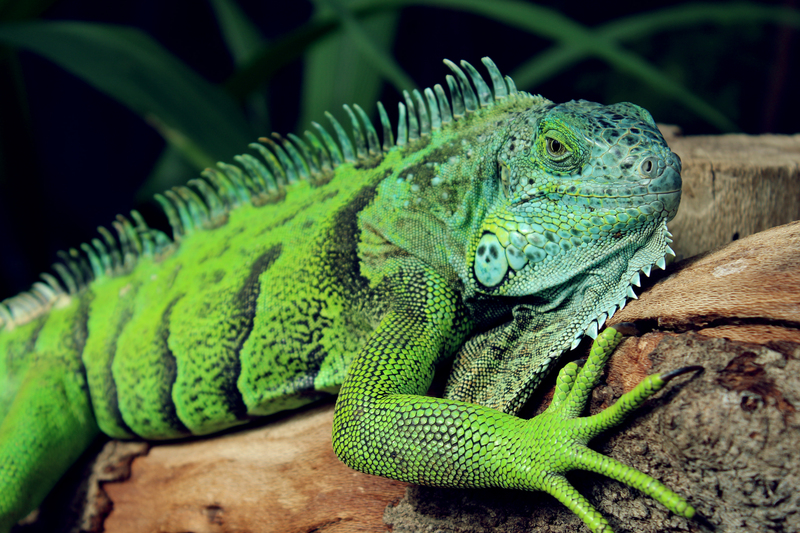 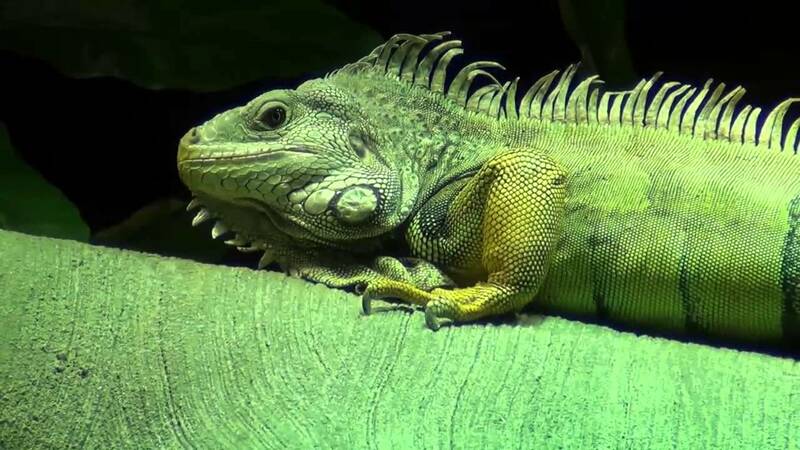 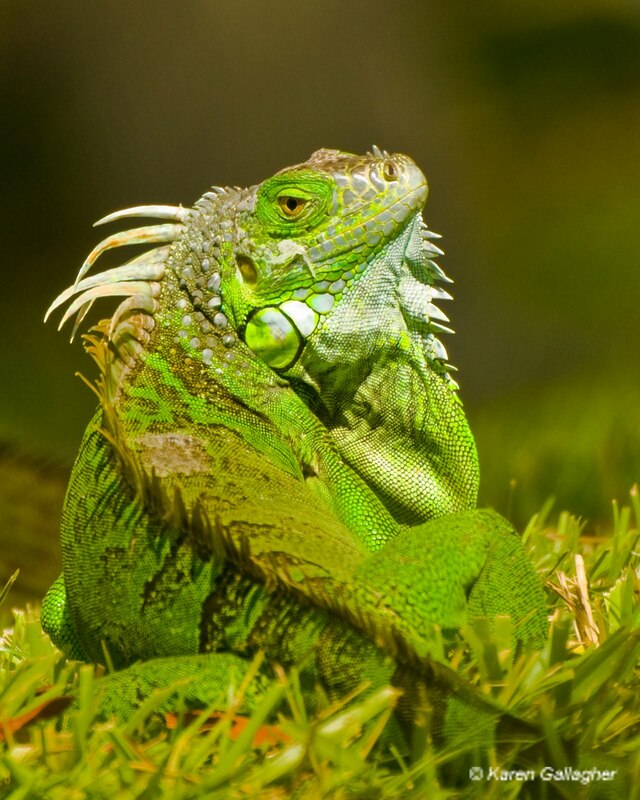 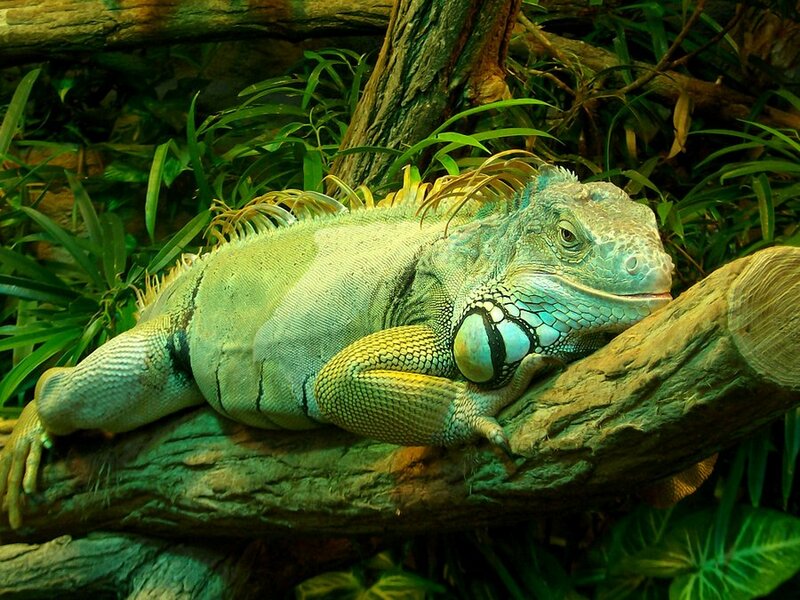 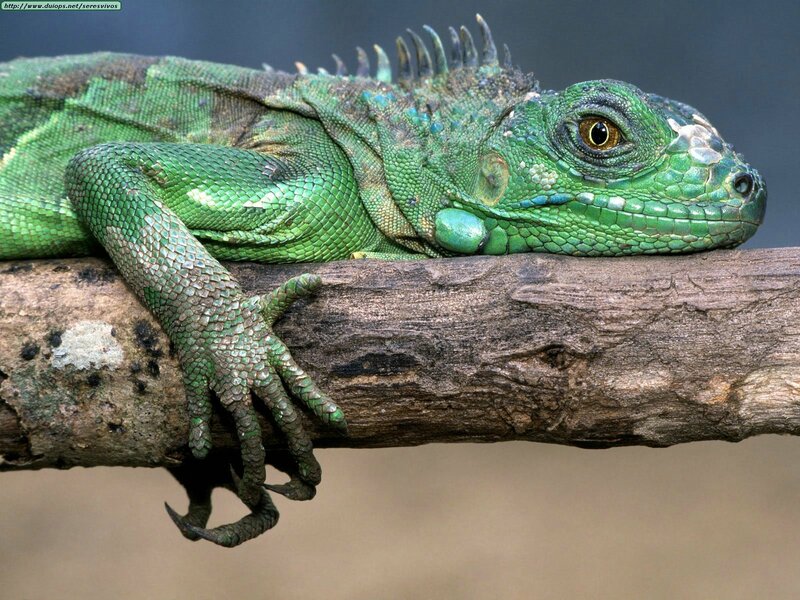 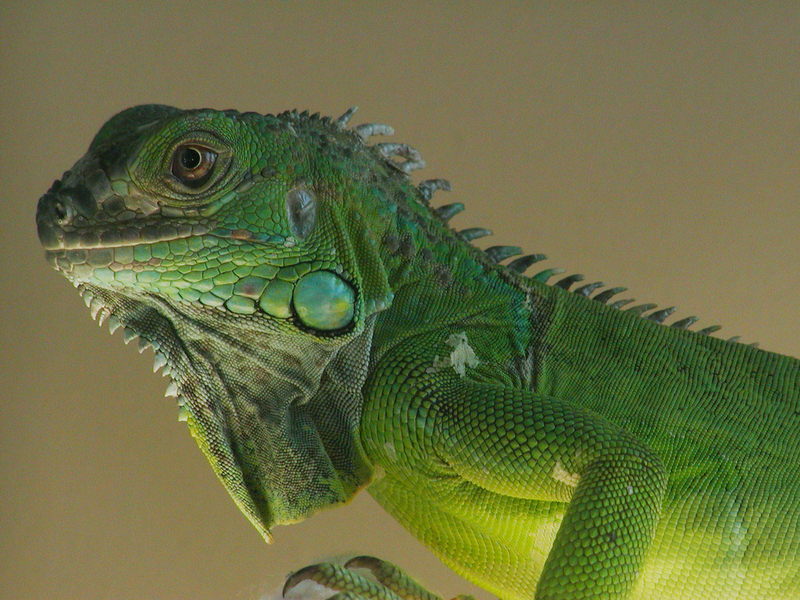 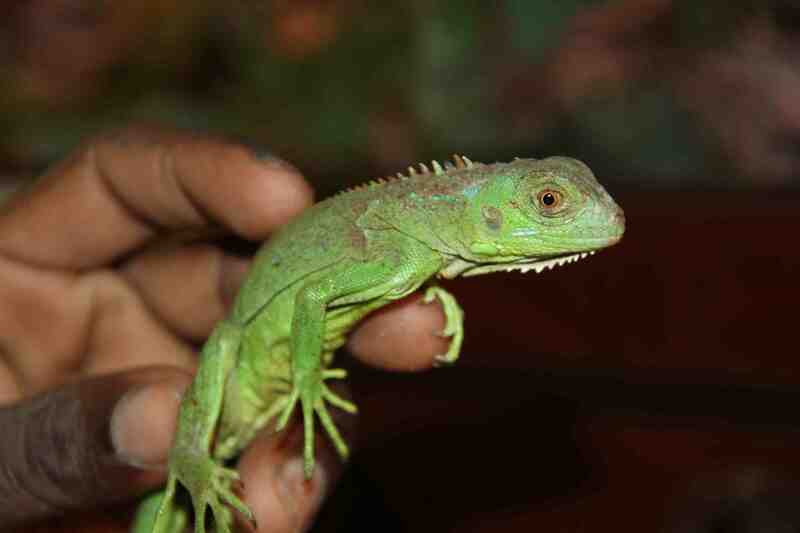 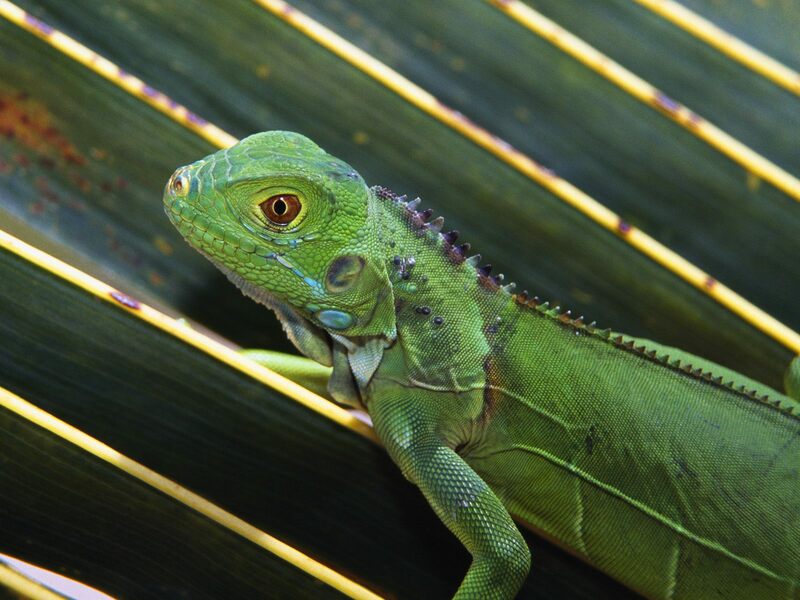 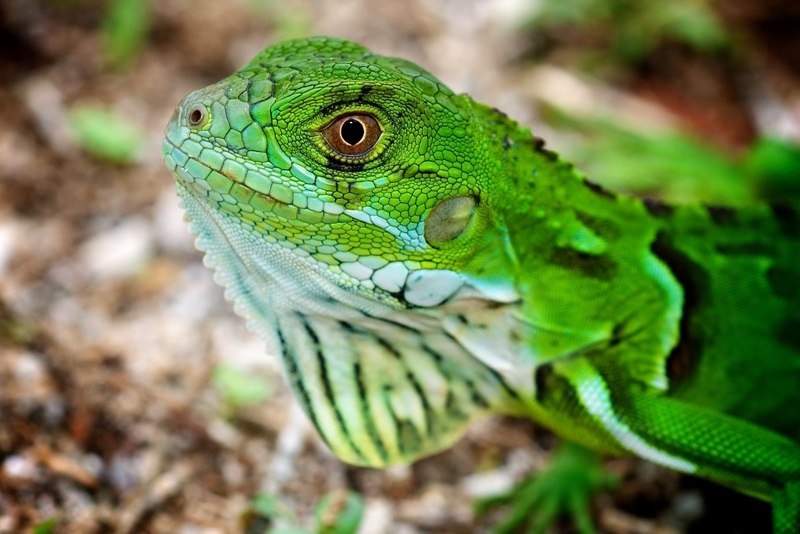 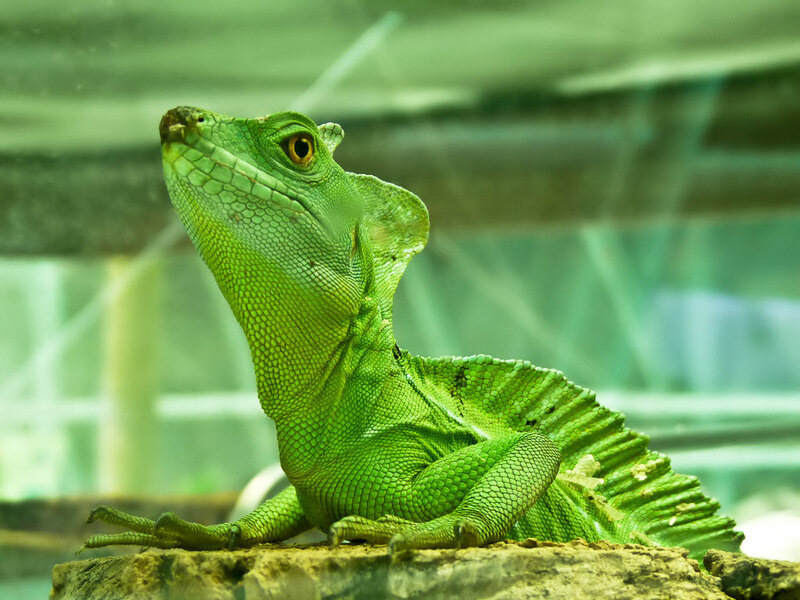 The green iguana (Iguana iguana), also known as the American iguana, is a large, arboreal, mostly herbivorous species of lizard of the genus Iguana. 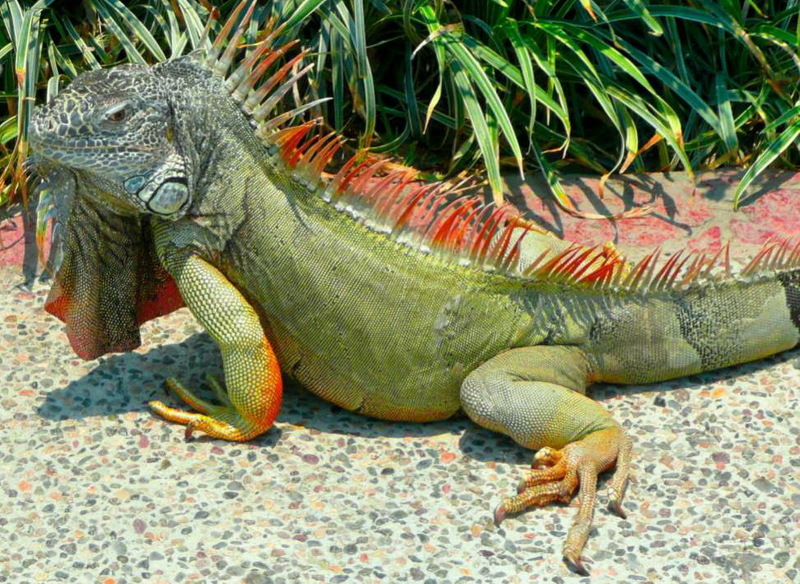 It is native to Central America, South America, and the Caribbean. 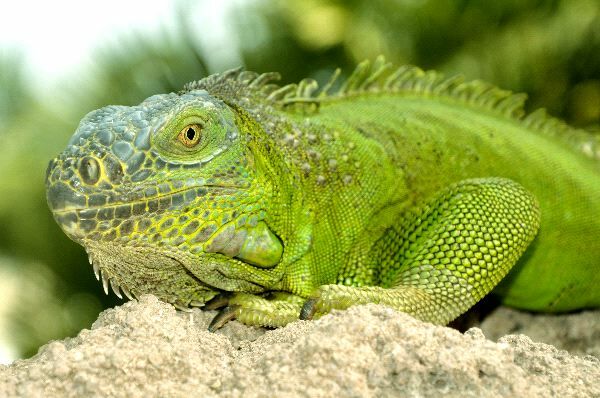 Usually, this animal is simply called the iguana. 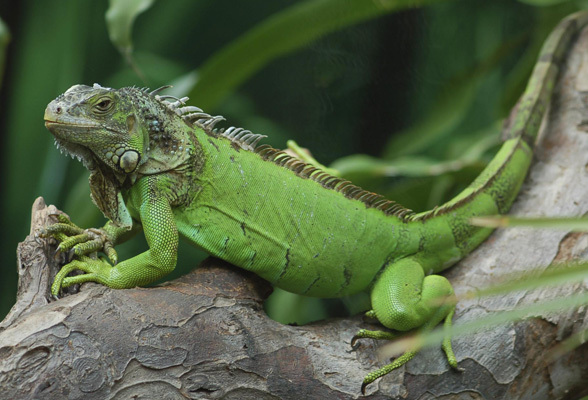 The green iguana ranges over a large geographic area, from southern Brazil and Paraguay as far north as Mexico and the Caribbean islands. 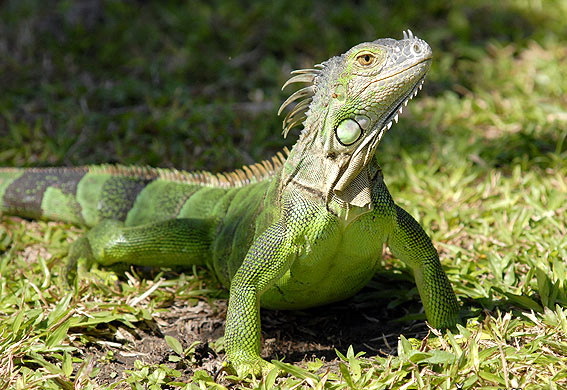 They have been introduced from South America to Puerto Rico and are very common throughout the island, where they are colloquially known as gallina de palo and considered an invasive species; in the United States feral populations also exist in South Florida (including the Florida Keys), Hawaii, the U. S. Virgin Islands and the Rio Grande Valley of Texas.